Derry City have signed former Coleraine winger Stephen Dooley after his return from studying in the United States. Candstripes boss Peter Hutton confirmed the arrival of the the 22-year-old from Portstewart after Friday night’s 2-2 league draw with Dundalk. “I’ve been keeping tabs on him since he was 16-17 – he’s an exceptionally good right winger, very dynamic with plenty of pace,” said Hutton. Hutton was impressed with Dooley when he played two games for the Bannsiders over the Christmas period last season. “He made a massive contribution in those two games, scoring and setting up goals,” he added. Meanwhile, Coleraine midfielder Aaron Canning has signed a contract extension which will keep him at the Showgrounds to 2016. Algeria coach Vahid Halilhodzic refused to divulge which of his Muslim players are observing Ramadan ahead of Monday’s World Cup last-16 meeting with Germany. “This is a private matter and when you ask this you lack respect and ethics,” said the Bosnian. It is an issue that Halilhodzic did not take kindly to being quizzed about, adding: “Ramadan is here and I read in some Algerian newspapers criticisms about me, about my image, about my honour. “They are trying to raise hatred against Vahid, against my family, and this is really disgusting. “It is not the first time I have Muslim players in my team, I myself am a Muslim, and I’ve always left them totally free. This is a private issue – it has to do with private freedom of expression. “Those who continue criticising our team and my actions, I think it’s shameful. But I will continue [as coach], I will continue working with this team. I’m sorry that you continue criticising what I do. Halilhodzic’s squad were accompanied to Brazil by Hakim Chalabi, a sports medicine specialist and one of Fifa’s leading experts on fasting footballers. New Seagulls manager Sami Hyypia revealed on Friday that Lee, his former colleague at Liverpool, was to join his backroom staff from Bolton where he had been working with the club’s academy. However, the 55-year-old has now changed his mind and decided to move to Southampton where he has been offered a job working under the Premier League club’s new boss Ronald Koeman. Brighton chief executive Paul Barber told his club’s official website: “It is extremely disappointing for the club, Sami Hyypia and those of us who worked hard to bring him here, that Sammy Lee has now reversed his decision after agreeing to become assistant manager. “Nobody at our club or Bolton Wanderers, was aware of any interest from Southampton until several hours after we announced Sammy’s appointment as our assistant manager. It’s certainly not a situation any of us have come across before. “Having already agreed his contract and terms with us to start work on Monday, we could have insisted on Sammy serving a notice period, but we all feel it would have been counterproductive to do so; and while it’s incredibly frustrating for us we wish Sammy well. Bolton have also confirmed Lee’s departure to Southampton from his role as Head of Academy Coaching at the club. 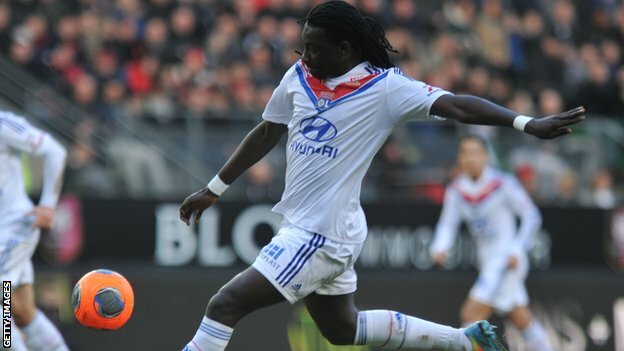 Swansea City boss Garry Monk says the signing of French striker Bafetimbi Gomis is a “very big” signing for the club. “It’s a fantastic signing; a very big and important signing for the club,” said Monk. Gomis is Monk’s second signing since becoming manager at the Liberty Stadium. Monk told the club’s website that he is delighted to have secured Gomis. “I’m very happy,” he said, “You are talking about a quality striker who has played international, Champions League and top flight football in France for a big club. “It shows just how far we have come that we can attract a player of his quality. “He’s a player that can excite the crowd, make and score goals. He’s always done that wherever he’s been – and that’s what we want him to keep doing here. “He came across as a very good guy,” said Monk, “humble, hard-working and honest. “He is determined to come here and do well. He asked a lot of questions about the squad and the strengths of the players. “He wants to settle into the squad as quickly as possible and do well on the pitch. Germany’s Mario Gotze is expected to earn a recall against Algeria, with Lukas Podolski sidelined by a thigh injury suffered against the USA. Bastian Schweinsteiger made his first start of the tournament in that game and could keep his place in midfield at the expense of Sami Khedira. Algeria have no reported injury concerns and could be unchanged from the side that drew with Russia. Algeria are more interested in making history than dwelling on it, but it is inevitable that the build-up to this match has focused on the furore around their 1982 World Cup exit caused by the unsporting behaviour of Monday’s opponents Germany. Despite beating West Germany 2-1 in their group game 32 years ago, Algeria were eliminated after the Germans contrived to beat Austria 1-0 the following day- a result which ensured both nations progressed. Germany coach Joachim Low has been riled by the media talk of the 1982 game, admitting: “I find it irritating when I read that this is a match about vengeance. A sub-plot to this game is that is falls on the second day of Ramadan, the holy month in which Muslims fast during daylight. Players can lose up to six litres (11 pints) of fluids during a match and so the Algerians have been taking advice on how best to prepare for the game. While some of Algeria’s players have publically stated they will observe Ramadan, Germany’s Mesut Ozil has said “it will be impossible for me to take part this year”. Algeria have won both previous meetings with Germany: 2-0 in a friendly on New Year’s Day in 1964 and 2-1 in the group phase of the 1982 World Cup – which was the first victory by an African team over a European nation at the World Cup. It remains Algeria’s only victory over a European opponent at the World Cup in eight attempts (W1, D3, L4). Germany have only once failed to reach the last eight in their 17 previous World Cup appearances. That came in 1938, when they were knocked out in the first round by Switzerland after a replay. Thomas Muller has scored nine goals in as many World Cup appearances – the same record as Pele after his first nine games in the tournament. Muller has been involved in 13 of Germany’s last 23 World Cup goals. If Miroslav Klose scores he will surpass Brazil’s Ronaldo as the all-time top scorer at the World Cup with 16 goals. Klose and Muller have scored four World Cup goals in the knockout phase, one shy of the national record held by Helmut Rahn. Algeria have reached the knockout stage for the first time. This is their fourth World Cup. The only African nations to reach the World Cup quarter-finals are Cameroon in 1990, Senegal in 2002 and Ghana in 2010. Senegal are the only African side to beat a team from Europe during the knockout stage at a World Cup, doing so against Sweden in 2002. Vahid Halilhodzic’s side have scored six goals so far in the tournament, equalling the total number of goals they had scored in their three previous World Cups combined. Islam Slimani needs one goal to become Algeria’s outright top scorer at the World Cup. He currently shares the record of two with Salah Assad, who scored twice in 1982.